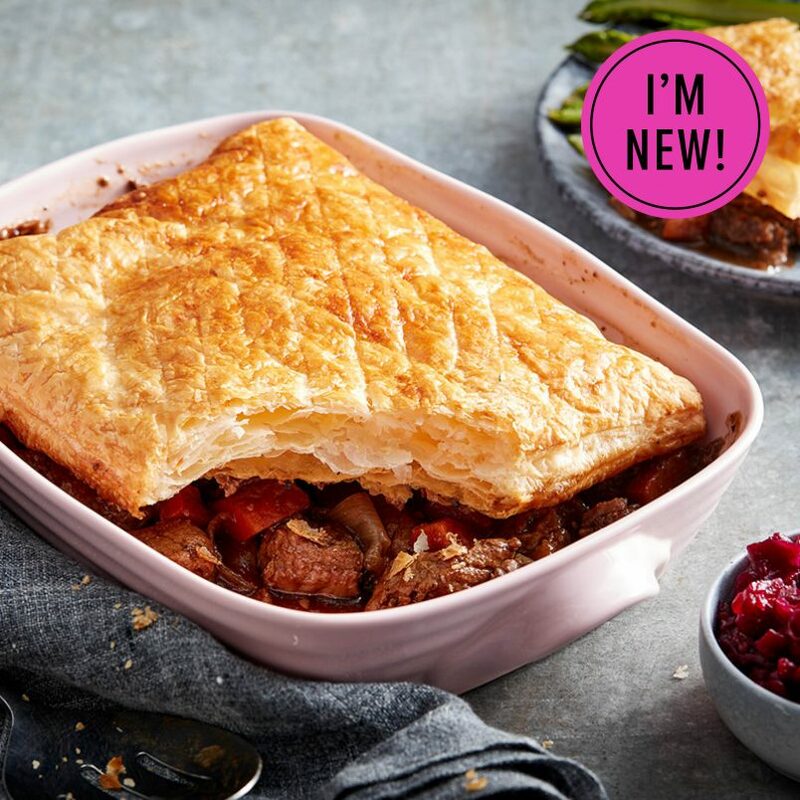 Chunky pieces of steak slow cooked in ale topped off with a puff pastry lid makes this a hearty, wholesome treat… enjoy! Water, Cooked Beef (25%), Onions, Wheat Flour (contains Calcium carbonate, Iron, Niacin and Thiamin), Ale (contains Barley) (8%), Margarine [Palm Oil, Palm Stearin, Water, Salt, Rapeseed Oil, Emulsifier (Mono and Diglycerides of Fatty Acids), Acidity Regulator (Citric Acid), Lemon Juice], Carrots, Roast Beef Stock [Rehydrated Beef, Natural Flavouring, Water, Beef Stock, Salt, Potato Flakes, Sugar, Beef Fat, Lemon Juice Concentrate, Malt Extract (Barley), Yeast Extract, Dried Onion, Black Pepper], Modified Maize Starch, Rapeseed Oil, Sugar, Garlic Puree, Salt, Caramelised Sugar, Gelatine (Bovine), Malt Extract (Barley), Ground Black Pepper, Rosemary, Cracked Black Pepper. 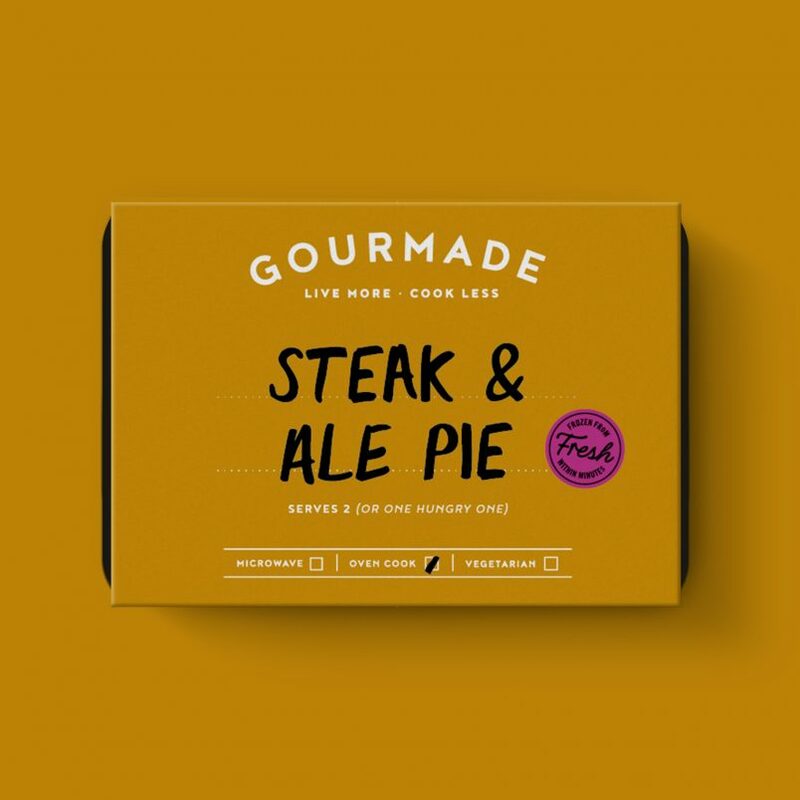 Water, Cooked Beef (25%), Onions, Wheat Flour (contains Calcium carbonate, Iron, Niacin and Thiamin), Ale (contains Barley) (8%), Margarine [Palm Oil, Palm Stearin,Water, Salt, Rapeseed Oil, Emulsifier (Mono and Diglycerides of Fatty Acids),Acidity Regulator (Citric Acid), Lemon Juice], Carrots, Roast Beef Stock [Rehydrated Beef, Natural Flavouring, Water, Beef Stock, Salt, Potato Flakes, Sugar, Beef Fat, Lemon Juice Concentrate, Malt Extract (Barley), Yeast Extract, Dried Onion, Black Pepper], Modified Maize Starch, Rapeseed Oil, Sugar, Garlic Puree, Salt, Caramelised Sugar, Gelatine (Bovine), Malt Extract (Barley), Ground Black Pepper, Rosemary, Cracked Black Pepper.